On Sale Now! 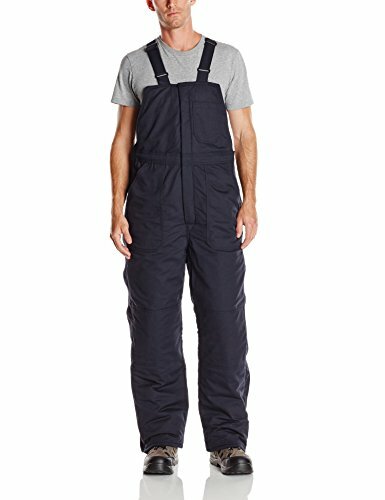 Save 5% on the Bulwark Flame Resistant 7 oz Twill Cotton/Nylon Excel FR ComforTouch Regular Deluxe Insulated Bib Overall with Concealed Snap Closure, Navy, 2X-Large by Bulwark FR at Toad Lily Press. MPN: BLC8NV RG XXL. Hurry! Limited time offer. Offer valid only while supplies last. Bulwark Excel FR ComforTouch deluxe insulated bib overall. Fabric made of 7 ounces, twill 88 percent cotton/12 percent nylon. Water-repellant. Bulwark Excel FR ComforTouch deluxe insulated bib overall. Fabric made of 7 ounces, twill 88 percent cotton/12 percent nylon. Water-repellant. Lining: 100 percent cotton. Insulation package: 12.0 ounces, 100 percent modacrylic. Two-way, extra heavy-duty, Nomex taped, brass zipper front with concealed flap. Elasticized shoulder straps with non-conductive adjustable hardware. Five large patch pockets. Hip pocket with closure. Reinforced double knees. Full, Nomex taped, ankle-to-hip brass zippers, concealed snap closure. Elastic waist inserts. Inside zipper guards on all zippers. Home wash and industrial wash.